 Arcadian Pictures is a production company with a passionate focus in the art of story-telling. In the Video Era, content is king. Quality content is our trade. Story-telling is our niche. Let us tell yours. This is the Official Music Video for Love Stallion's hit single "Valentine." We filmed in several locations in Denver, Colorado including a studio recording at Denver Sound Studios. This video was produced for Household Collective and Household Records as they geared up for New West Fest, a music festival held annually in Fort Collins, Colorado. This video was produced for Visit Loveland’s 2nd Annual Winter Wonderlights event in the Chapungu Sculpture Park by the Promenade Shops at Centerra in Loveland, Colorado. Shot on Sony a7iii with Freefly Systems MoVI M5 rig. This is the Official Music Video for Love Stallion's hit single "Big Rock Radio." We filmed in the desert in Moffat, Colorado as well as several locations in Denver, including a live performace at Globe Hall. This short-form documentary was made in celebration of the Cache La Poudre River in Fort Collins on its anniversary of being designated a "Wild & Scenic River," the only such river in the State of Colorado. We explored a brief history of the river, how important it is to the City of Fort Collins and its residents, as well as the issues we face in preserving it today. Shot on RED Weapon Helium, Sony a7iii, and DJI Phantom 4 Pro. Now that the Weekend Warriors Film Festival Round IV has subsided, I'm happy to present our award-winning film, Endless Summer! This 48-hour short film challenge had to include the following elements: Theme: Endless Summer | Character: Time Traveling Salesman | Line of Dialogue: "Grab your swimsuit- we're going to the beach!" | Props: Broken VHS Tape, Snow Globe. From the Director: "We wanted to get creative with our approach to the required elements this time around. Endless Summer is an iconic documentary in the film world and the idea of a Time-traveling Salesman brings forth some obvious plot lines. So, in an effort to stand out, we decided to create a main character called 'Summer' who never stops talking. The boyfriend, who occupies himself with any mundane task (like fixing a broken VHS tape) so as not to listen, is relieved to be interrupted by an unexpected visitor, an eccentric door-to-door salesman who uses outlandish techniques to sell subscriptions to TIME Magazine. It was a really fun and clever take on the theme and generated a lot of laughter, allowing us to take home our second straight Audience Choice Award. I couldn't be more proud of my crew!" This video was made for my good friend, Taylor Strope, and her company Mountainside Events. She discusses her passion for Event Planning and what makes her approach unique from that of her peers. In this video, we interviewed several citizens in Larimer County who shared their perspective regarding the upcoming Ballot Question (1A) on the Mental Health Initiative. This video was created for Juli & Juan's Kitchen and the St. Jude's Fundraiser to announce their silent auction item up for bid. We are proud that it was the highest bidding item at the auction, raising $8,000 for St. Jude's Research! Larimer County has been stirring up the conversation around Mental Health in an effort to erase the stigma surrounding it. It affects all of us, and it is our hope to bring improvements to the county's resources and our ability to handle Mental Health issues. The most ridiculous videos come out of teaming up with Corndoggies. Here's our 2nd July 4th Promo! Celebrate AMERICA with something American- like a CORNDOG! Music by awesome musicians, Black Moon Howl! Recently, we rounded up the mayors of Larimer County, Colorado for a discussion regarding Mental Health and the issues we face today. Please visit facebook.com/mentalhealthmatterslarimercounty for more information on the topic and how to join the conversation. "In Case You Missed It" is a series of short videos covering events that are happening in and around the Fort Collins, Colorado area. In this third episode, we covered Washington's 3rd and Final Soft Opening before their big launch, which featured local standout musicians, Slow Caves and The Burroughs. So proud to present this heartfelt music video I produced for Black Moon Howl, with very talented musicians Steve Jones and Julian Peterson. An inside look at the lives and perspective of renowned chefs, Juliana Trujillo and Juan Andres Rodriguez, owners of Juli y Juan's Kitchen. We discuss the past year and what's to come in 2018. Household Collective simultaneously celebrates their 1 Year Anniversary and announces their launch of Household Records in style with a Black + White Party at music venue The Downtown Artery. "In Case You Missed It" is a series of short videos covering events that are happening in and around the Fort Collins, Colorado area. In this second episode, we covered The Elizabeth Hotel's Grand Opening in Old Town with music from Guerrilla Fanfare. This is a video I produced on New Years Eve for Craig Nicholson (aka DJ KAAOS), Owner of Fat Groove Entertainment. A great guy and energetic "Party Rock Events DJ"
"In Case You Missed It" is a series of short videos covering events that are happening in and around the Fort Collins, Colorado area. In this first episode, we covered (SALT) Magazine's Launch Party at The Magic Rat in The Elizabeth Hotel. This video was produced for the City of Loveland's 1st Annual Winter Wonderlights event in the Chapungu Sculpture Park by the Promenade Shops at Centerra. It's a beautiful display of over 50,000 lights, nightly Light Shows, weekend performances including fire-batons, choirs, and igloos hosting pictures with princesses, face-painting and more. I'm happy to present Catherine & Craig's wedding. They have a beautiful ranch and a beautiful story, and we couldn't have hoped for a better day to start a new chapter! Many thanks to wedding cinema pro Rob Jackson, great event planners My Big Day LLC, amazing chefs Juli y Juan's Kitchen, and great teamwork with wedding photographer Ash Meier. Household Collective presents Tyler Feagin's EP Debut: Up and Down. Get to know #LER in this version of #ResidentSpotlight. This awesome Rocky-Montage-style video was made for the City of Loveland to introduce their new City Manager, in collaboration with the Wolfpack Ninja Training Facility, starring Noah Kaufman (aka "The Ninja Doc") and Ian Dory from American Ninja Warrior and who work with kids and adults alike to make an impact in the community and to fight the obesity academic in America. This video was made for Dobodo Events, an event planning and staffing company in Northern Colorado, showcasing one of their weddings. I've had the pleasure of working with and meeting some great people during this video campaign for The Ranch Events Complex. In doing so I've come to realize how important it is to our community here in Larimer County. Dobodo Events is based out of Northern Colorado and does all kinds of awesome stuff like photo booths, event planning, catering (often in collaboration with Juli y Juan's Kitchen), and more. The City of Loveland is really establishing their spot on the map and becoming a must-visit destination in Northern Colorado. Have you heard the word about The Bird Dog? This bottle-poppin promo will tell you all about it. This is a video montage of clips from Household Collective's "Official New West Fest After Party." What a blast! This promo was made for Household Collective's "Official New West Fest After Party" at The Downtown Artery in Fort Collins, CO. This beautiful and emotional long format 4th of July Wedding features a country setting, Ceremony and Reception, and incorporates aerial videography in a cinematic, musically-driven compilation. Local Fort Collins Food Truck, Corndoggies, invites you to their 2nd July 4th event in Timnath, CO, offering discounts to those who are patriotic enough to show up in their short shorts. In Juli y Juan's latest adventure, they take on their first 300-person wedding, a new milestone in their growing catering business. This video highlights a beautiful home in Ptarmigan Neighborhood, a private golf course community in Fort Collins Colorado. Contact Broker, Sue Coburn (970.222.1773) for more details. Los Dos Paelleros (The Two Paella Makers), Stephen Davidson and his daughter Addi, from Fort Collins, CO, take their award-winning paella to Denver for The People's Fair in Denver. This video highlights a beautiful 2-acre parcel in a gated community, The Hill, in Northeast Fort Collins. Footage was shot using DJI Osmo and Phantom 4 Pro with Polar Pro Cinema Series ND/P filters. Compiled with Adobe Premiere CC and Adobe After Effects CC. You haven't had a corndog until you've had Corndoggies! Good friends John Lawyer and Jake Arnold run this Fort Collins-based Food Truck and they just celebrated one year in business, using the event to raise over $3,700 for the Larimer Country Food Bank. Have a sneak peak into Authentic Paella from Valencia, Spain! Stephen and Addi Davidson (Los Dos Paelleros) showcase their signature paella in City Park, Fort Collins. Get in touch with these guys if you're in Fort Collins, CO or at one of their upcoming music festivals this summer! This video was made for the 2016 Secret Supper, hosted by Eat + Drink of the Coloradoan in Fort Collins. Experienced Secret Supper duo, John Lawyer and Jake Arnold (Lick Skillet), team up with renowned rustic experts Juliana Trujillo and Juan Rodriguez (Juli & Juan's Kitchen) for a truly unique collaboration and experience. John Hunt, experienced Mixologist and Filmmaker (Arcadian Pictures), was brought in to create the paired cocktails list and produced this video of the pre-event photoshoot at The Coloradoan. Special Thanks to Erika Moore (Photographer), Holly Engelman (Coordinator), Laura Buitragoe (Makeup & PA), and Wise Guys (Music). This Real Estate Promo video was produced by Arcadian Pictures for Broker Associate/Partner, Heather Matz (The Group Inc. Real Estate) to showcase one of her listings in Fort Collins, Colorado. This beautiful destination wedding was filmed in southwestern Germany, in the Baden-Württemberg region for Brittany and Philipp, a beautiful young couple living in Switzerland. I can't express how lovely the setting was, and telling this story was one of my favorite projects to date. BangOn! NYC teamed up again with our good friend and Director, Sean Biffar, after a successful 2015 to produce the 2016 event. With help again from Cameron Michael (Cameron Michael Productions) and John Hunt (Arcadian Pictures), fresh faces Chase Walker, Shot by Rod, and Aram Sun rounded out the team. Music: "Drinkee" by Sofi Tukker. Renowned Chefs, Juliana Trujillo and Juan Rodriguez (Juli y Juan's Kitchen), teamed up once again with Event Planner, Taylor Walker (Mountainside Events), and Filmmaker, John Hunt (Arcadian Pictures), for the second installment of their "Get Up & Get Out" open-fire cooking events. Music: Stephanie Johnson (Wasteland Hop), Peter Theis (musicbypeter.com), and Washed Out. This video was created for Cheers United, a company offering Social Brewery Tours in Fort Collins and Northern Colorado. I was on the first tour and it was a blast! Check 'em out at Cheers-United.com! This was a little video made for Chris McShay, who covered Chris Isaak's "Wicked Game" at Juli y Juan's "Get Up & Get Out #3" event. He's got a killer voice and a big heart! Music Festival hosts BangOn! NYC team up in 2015 with our good friend and Director, Sean Biffar, to shoot and produce the event, with help from Cameron Michael (Cameron Michael Productions), Oliver Correa, Jan Gerards, and Dustin Tollman. John Hunt (Arcadian Pictures), was brought in for the Editing and Color-Grading. Music: "Liquid Spirit (Claptone Remix)" by Gregory Porter.